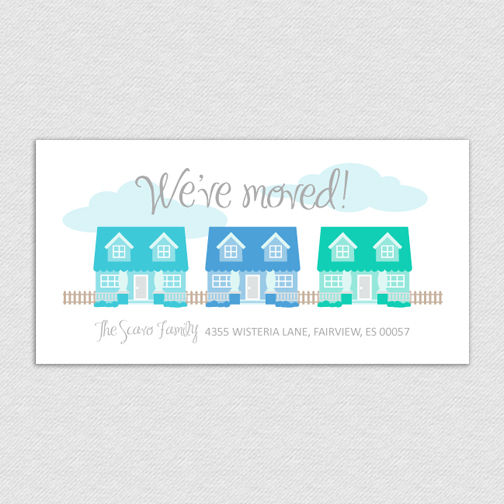 This listing includes two digital files of a 5x7 (fits standard A7 envelope) Custom "We've Moved" Announcement. NO PRINTED MATERIALS WILL BE SHIPPED. 1. 5x7 jpeg sized to be printed at your local print shop or posted and/or sent online. 2. 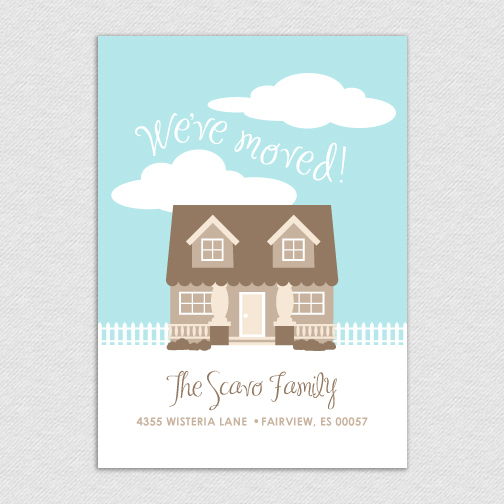 PDF file with one announcement card prepared with crop marks to easily print at home. - Desired color(s). Design can be altered to any color combination. 3. Complete shopping cart order payment through credit card or PayPal account. 4. Upon receiving your order and payment, a digital proof will be emailed back to you within 2-3 business days to insure your satisfaction. 5. Within 1 business day of final approval, 2 final high-resolution files will be sent to the email address provided on your account. 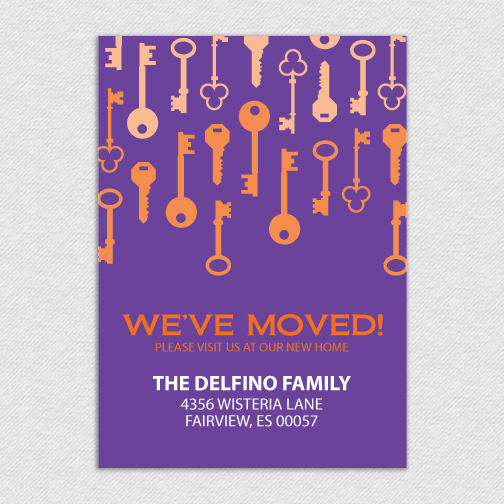 *The design may need to be altered do to the length of text provided by customer. *Colors may vary between what is viewed on your monitor and your actual printed product. All monitors display color differently; so please keep this in mind before placing your order. Thank you for visiting L|B designs!